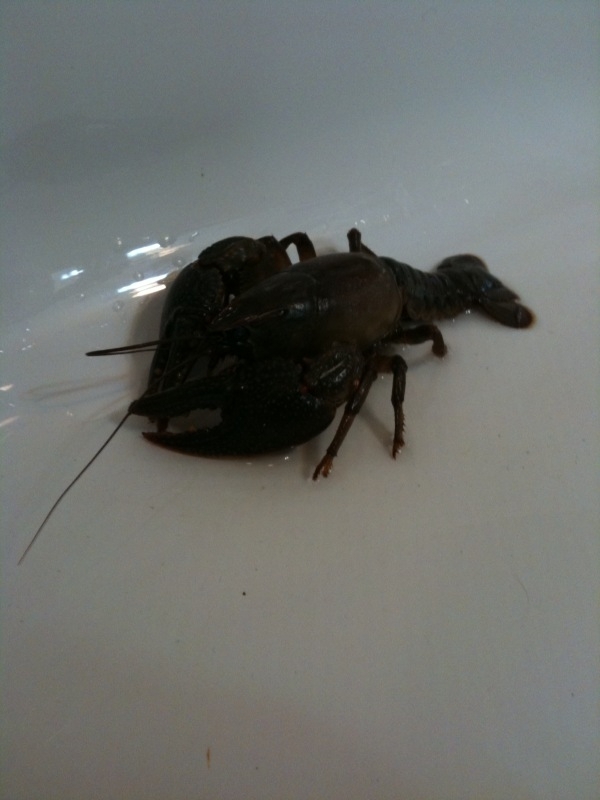 I think my neighbor was surprised to see me knocking on her door for a large tuperware this morning after I saw this HUGE crawfish crossing the road while I was running. I felt compelled to bring it home to my sleeping children. I mean how often do you see a lobster-sized Crawfish crossing the road? He is in the tub until our release party this afternoon but we have already fed him a ladybug. Surely, this is a sign of Spring!